I have been getting a ton of questions lately about how can we raise our own animals for food and harvest them. Which I don’t mind getting. It is a great conversation we need to have.Raising and then harvesting your own livestock is not an easy thing to do nor should it be. We are taking a life. When I read this comment I had to scratch my head! To me, the comment is saying I would feel better about you harvesting your pigs for meat if you didn’t care for them just throw them some food every once and awhile. Or why don’t you buy your meat from a grocery store? Then you won’t have to think about what kind of life that animal lived. Why do we feel better about that because those pigs are raised in confinement never seeing the light of day or being able to dig in the dirt like pigs were created to do? I feel good about the way I raise my pigs not just good I am proud of the life my pigs have here at Lumnah Acres. I know they have had the best life that they could! I name my pigs so when I am out feeding them I not calling them pig. I also like naming the pigs so when I am eating this great delicious food that is healing our bodies I can give thanks. We are Modern Steaders so we can supply our friends and family with the best food possible. We are very conscious of what this takes. And we know it takes living food to sustain us so we can live a healthy life. I realize that this is not the norm. You can’t buy this quality of food in the grocery store but I think if you have or when you have the chance to try food of this quality or know the story of your food it will click and make sense to you. Believe it or not, all the food that we eat has a story. We just don’t know that story. Must of the food we eat we wouldn’t want to know the story. We are sharing the story of our food and everything we go through to get it. I don’t enjoy getting comments like this but I do think we need to have these kinds of conversations. We are so detached from our food its not even funny. We don’t know the story of our food. Where was it grown? We don’t even know what country it came from. What kind of life did it live, what kind of soil did it grow in. I mean know of days they can grow a chicken in the US fly it to China and process it over there and then it comes back to our grocery stores and we have no idea. They don’t need to put that on the label! Take care and keep doing what your doing. As a kid, and I’m now 66, we raised chickens for eggs and meat, we also had two pigs, every year. They were carefully and humanly cared for as they grew, including pasturing…the last few months they were penned up in a large pen, fed grain and apples, etc…they were not named, other than the food for which they would be, ham and bacon…these were very large animals maybe 400 lbs, providing our extended family with nutrients food. 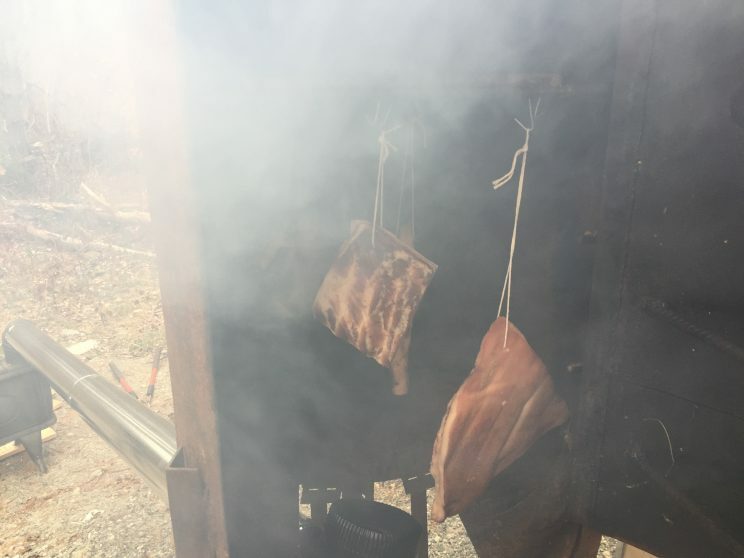 They cured in our smoke house. It was difficult to see them shot, but it was very quickly done…it’s a part of life that is necessary, if we are not vegetarians….hamburger comes from beef, chicken nuggets from chickens, perhaps if we all knew where our food comes from, we would be less wasteful! I bet you have some great family recipes and know your way around a smokehouse! DO you still raise your own livestock for food? Hello. I have to agree that home raised food tastes better. I raised some hens untill they got too old them they went to a real farm. I’m glad they ended up somewhere with other chickens. I plan on starting fresh in the spring, because in Michigan it’s cold for chicks right now, and yes that includes meat birds. I’ve had home grown chicken from family members and it’s much much better than store bought. You talked about how far food travels and how disconnected we are as a people with the origin of our food. I think about a term I’ve heard a couple times talking about that, food miles. While I wish I could say all but at least some of my food is measured in food feet. Keep it up. You are doing it right Al. I raise and butcher my own meat for the same reasons. The reason some folks ask those uncomfortable questions is that the truth about our food is not easy for them to face. There must be death for us to eat meat. Unless you only eat fruit, grains, nuts and seeds, there is even death involved in the vegetarians meal. It is just the facts. Better to love our animals and only give them one bad day, than to treat them as a commodity or not allow them life at all. How many pigs would ever be born if no one was eating them? People need to realize that ALL food has a story. When I grabbed a little peach cup from the store the other day, I noticed that it was “made in China”. So, what is the story of that peach? How was it raised? Who was the farmer? What kind of sprays were applied to it? Are those chemicals even legal in the US? Was child labor or slave labor of some kind involved in the process of getting that peach grown, harvested packaged or shipped? We raise our animals well and give them a humane and quick end, which seems to anger some folks. I wish they were as involved, aware and emotional about the rest of the food that is consumed in this country. I suspect that most people know why you grow your own, or hunt for your own food, but are trolling or trying to put you on a spot. They don’t care what your answer is because they have their own agenda rattling around in their confused little echo chamber. Personally I’m tired of trying to explain to these people why I do what I do, and will continue to do what the human race has done for millennia. Why is it okay to let someone else do all the “dirty” work, but you shouldn’t do it yourself? If they don’t like it …… tough ……. don’t watch! Al your doing a great job providing for your wife and daughter. Keep It up, thanks for sharing and allowing us to enjoy the journey. We have gotten so far removed from our food, we don’t even recognize much of the fresh items in a grocery store if it’s not tagged. Trying get my household into more fresh items and growing what we can ourselves. It’s not easy taking an animals life, but the good lord provided and it would be wasteful to not enjoy the bounty. Naming an animal doesn’t change it’s nature and function, just the way we assign feelings toward it. Your pigs have been a great source of entertainment along with the food they provide, I’m sure living with them in person it’s even more so. I laugh each time I see Andy, he does stick out from the flock. Have a great weekend Lumnah’s . In the future, all the naysayers and critics will wish they had accepted your wonderful informational videos! Our world is changing and in the future, food supplies which are now overflowing will become geographically limited. Your fantastic family oriented videos reflect love as it was designed! I worked for a trucking company that shipped butchered frozen chicken meat to grocery stores across the U.S. I didn’t stay long and stopped eating chicken for a long time after that short-term job. The trucking company was located next to the chicken “farm”. Chickens kept in cages all their lives. Never seeing the ground. Never being touched or talked to. I know this because on occasion I had to go to the “farm” office to collect information for the shipping labels. I was offered a tour and took it. Anyway, during my tour, a dead chicken was found in one of the cages. I heard someone yell at someone else about it and someone yelled back to throw it in the grinder and put it in the feed. Now, no-one checked to see what the chicken died of and yet they fed it right back to the chickens. This is not what I want to consume. I want to KNOW that the food I eat is healthy, to begin with. I want to KNOW that the food I eat isn’t full of hormones & anti-biotics which then pass on to me. I want to KNOW that the food I eat hasn’t been contaminated with poisons to kill weeds or bugs that I then consume. Al, I will take your way above the grocery stores all day long. We raise our own chickens and have been for 2 full years now. Next Spring we will get a couple of piglets to raise. 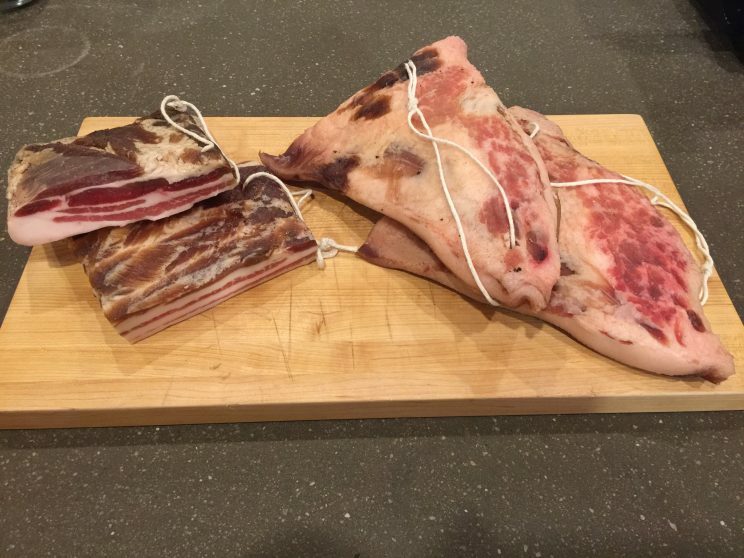 We bought one of our neighbors home grown pigs and had it butchered. Awesome meat compared to what we have eaten from the grocers. When we raise ours we will give the butchering of our own a try. 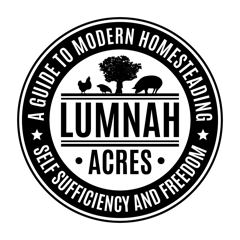 Thank you Lumnah family for all your teachings. I believe your videos should be shown in High Schools across the United States. I don’t think the younger generation fully appreciates where their food comes from and what is actually in it. Having begun this process with chickens I have to agree that giving them the best life I can and doing the process myself has made me more thankful for the animals sacrifice. It makes me want to use the whole animal so as to not minimize the life that has been given. it tempers my impulses to over indulge. The food is healthier and so is my relationship to. Growing up as a city kid I thought it would be harder, don’t get me wrong it is sobering, but after considering the alternatives I realized if I was to take more responsibility for my self I had to learn these skills. It is rewarding in it’s own way. There is no “pleasure” in taking the life only gratitude. My raising them well is my sacrifice to them and is small in comparison. In these days of food cartels and the global financiers that run them, it’s almost like the scenario you read about in Sinclair’s book the Jungle. Levels of production in various locations all geared towards squeezing the maximum amount of profit on behalf of shareholders. If i may id like to address the first question you answered. I have raised my own animals and named them all. I have also raised animals and swapped them with other farmers just before harvesting and both times it was different. Yes, in both instances you are painfully aware of what you are doing, there are nerves and no matter how many times you do this you always have a moment of ‘dont let me mess this up’ however, with your animal that you name and you bond with. As counter intuitive as it may sound, there is no guilt, in fact if i had to put it into words. There is love and respect. In fact, i have found that the names will stick all the way to the table and are spoken at that point with an ammount of reverance. I couldn’t have put it any better! It has to be said that many people do not even know what they are eating. I know the children don’t. It is much better to respect the animals that we consume instead of being blissfully ignorant. 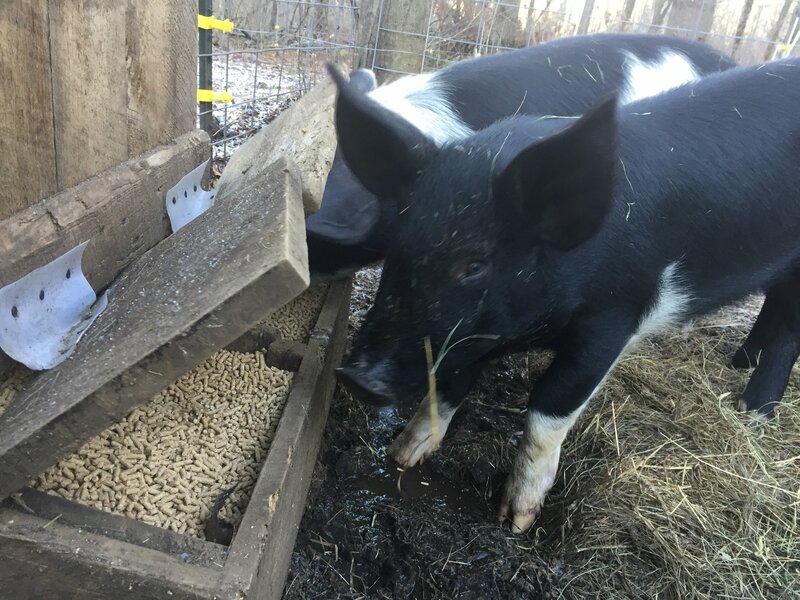 So nice to know that your animals are well cared for even though they’re being raised for food.Would you provide your pigs with vetcare should they fall sick? We have been watching and enjoying your video’s for some time now and learning allot. 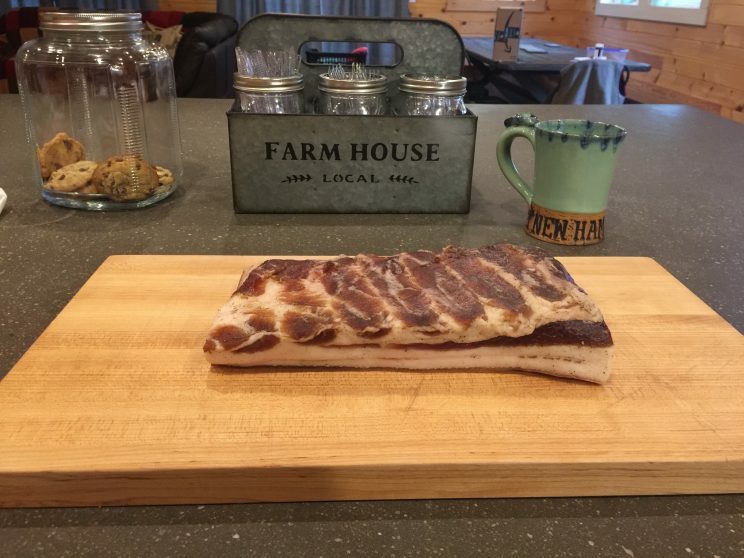 we live on 7.5 acres in Maine and my daughters boy friend is all excited about raising a couple pigs this spring , so I think we are going to give it a go. We have mostly field but do have a tree line between 2 fields so we are thinking of raising them there , should be a fun project for the family. But any ways thanks for the great videos and keep them coming. 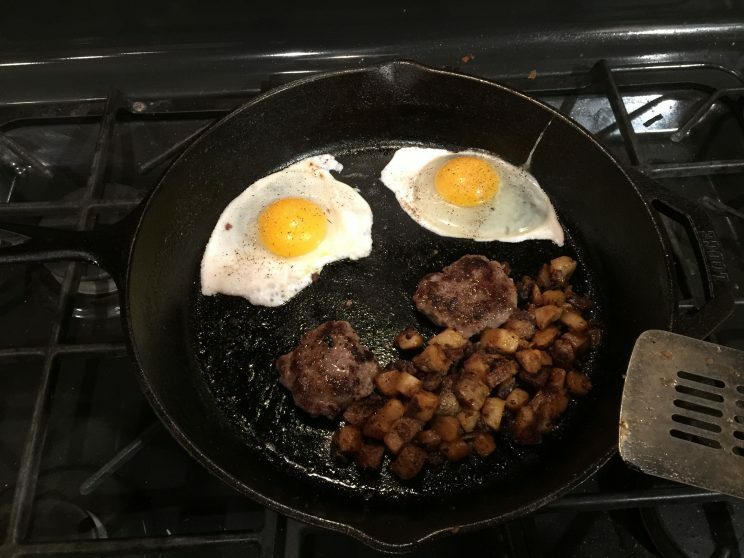 Got to say your breakfast picture looks some good!